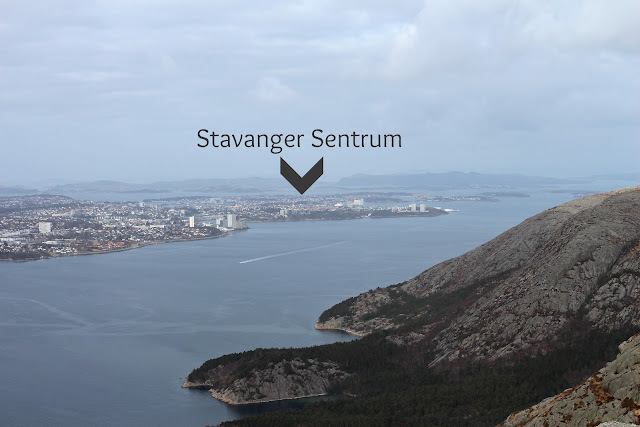 With more pleasant temperatures and less rain, Joe and I have been exploring the Stavanger region. 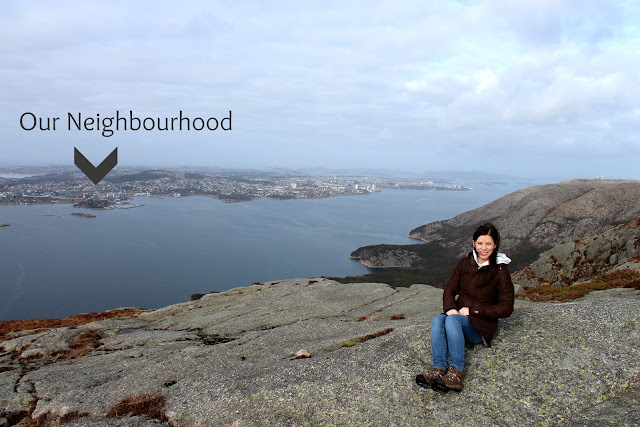 Living in a smaller city often means less opportunities for activities and while I'll admit, Stavanger isn't bubbling over with events every day, there are plenty of things to see and do in the surrounding area, particularly if you are an outdoorsy person. Having a car has really given us access to so many different excursions and even though we don't often go far, it's nice to have the opportunity to get out. From practically every window in our apartment, we look out over a fjord and a range of mountains and while we've driven over there once before, we had never really explored the area on foot. 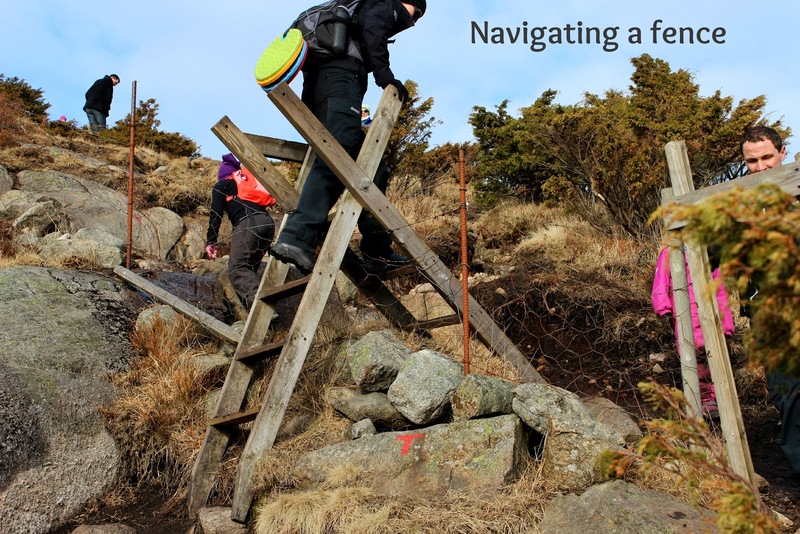 I had heard of a fairly easy hike up one of the mountains with fantastic views of the greater Stavanger area so we gave it a try last weekend. 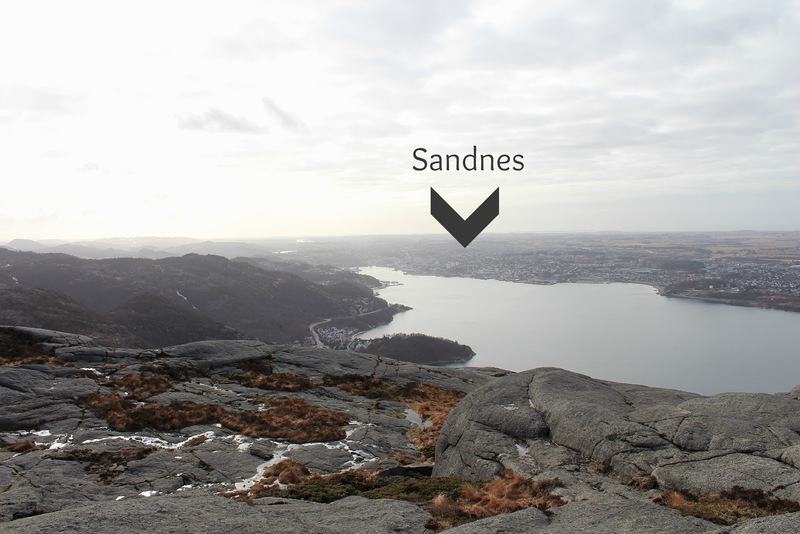 From our house, we drive the length of the fjord to Sandnes (an adjoining community) and round the edge which takes about 25 minutes. 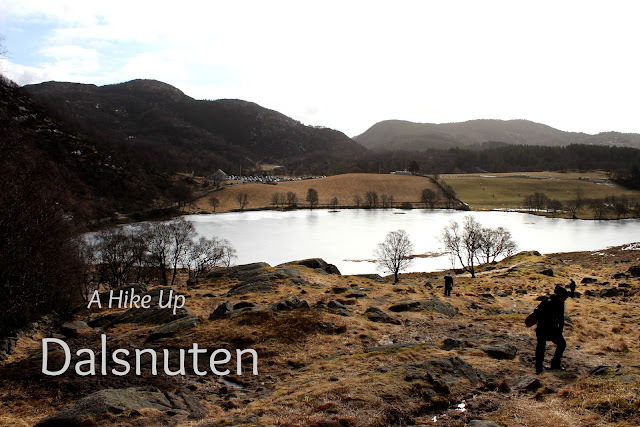 There are a couple of different starting points but we chose to commence the Dalsnuten trail at Gramstad. Joe and I were surprised to find the parking lot FULL of cars on a Sunday afternoon. This is apparently quite a popular destination on the weekend for families as young children find the hike manageable as well. While there were a few crowded moments, the trails branch off in different directions thinning out the people. The hike took us about 45 minutes to reach the top and while we didn't find it particularly challenging, we did find ourselves breathless at a few points. Many hikes in Norway aren't the manicured paths like we might be used to in Canada. It's not unusual to climb from boulder to boulder, scouting the best path and railings are few and far between. After the final steep climb to the peak, we were greeted with fantastic views of the entire Stavanger region. It's quite cool to see the layout of the city from a completely different perspective and it really showed just how much water surrounds our city. It's no wonder we have so many coastlines to explore! Once we made it to the top, we found ourselves a spot with respite from the wind and other hikers where we enjoyed the views and a snack before descending down a second path. This was the perfect hike to do on an afternoon when you don't want to commit to a full day but are looking to get out, enjoy some fresh air and stretch your legs. There are quite a few other paths in the same area with varying lengths that we're hoping to check out in the near future. It looks beautiful! I'd say a Sunday afternoon well spent. That ladder is adorable, I'd love one for my flat! Norwegian design...even present in the forest. What a great hike! The view is gorgeous! Your place looks gorgeous, and hello amazing view! I have a mountain one myself, aren't they the best? 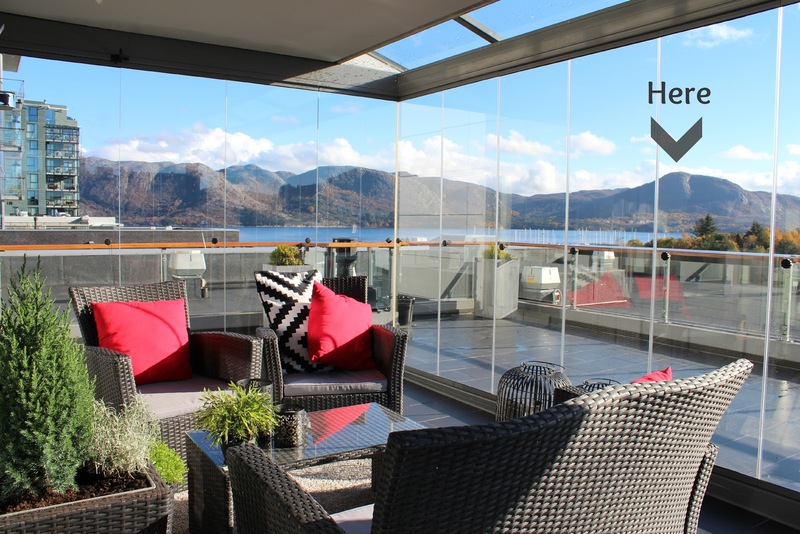 Your apartement looks super amazing! And the view's to die for as well! Seeing your pictures of the Norwegian landscape definitely makes me want to move to Norway even more. It is pretty beautiful Melanie! This is the walk you were telling me about? Those views are awesome!